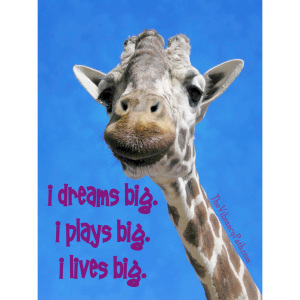 What’s your biggest, grandest dream? You know, the great one, that maybe you don’t even share with others because it is so outrageous, and yet so dear to your heart…. Is it to leave your dead end job and start your own business that might just change the world, make you blissfully happy, and earn your fortune? Is it to run the Boston Marathon? Is it to build your dream home on a cliff, or by the ocean, or in the mountains? Is it to start a school that will pave the way for a massive transformation of our education system? Is it to raise super conscious, aware, loving children in the midst of a busy life and a wild time in the world? What’s on your Vision board that your heart longs for? And the grand vision came. It took 5 years of detailed planning and preparation to manifest this big dream. Then one day, Sean and Jennifer took their 2 pre-teen kids out of school, rented out their house, left suburban life and moved onto their new 50 foot catamaran. For the next 15 months they sailed all around the Caribbean, through the Panama Canal, across the South Seas to Australia. They home-schooled their kids while traveling 18,000 miles and visiting 20 countries. They created a magical family experience, full of swimming with whales and sea turtles, playing with kids of vastly different cultures, helping to refurbish a school in Samoa, racing in a regatta in Fiji, and so much more. Eventually they returned to their home in Colorado, but the manifestation of Sean’s grand vision continues to inspire everyone who hears their story. What happens when you deny yourself access to the Violet Crystal Power of Manifesting? You think small and stay small, never challenging yourself to achieve greater heights. You stay stuck in jobs, relationships, homes, and cities that you don’t love. You feel hopeless and helpless, because you’re convinced that you don’t have what it takes to make your dreams a living reality. You live and die unfulfilled and incomplete, never committing to any plans for the future, goals to work toward, or moving aspirations. and make the impossible possible! Even if you don’t have this Power in your Vibrancy Signature, it can still access it to help you tap into the realm of infinite possibility! Live with direction, purpose, and a deep heart connection to something bigger. Feel supported, capable, inspired and empowered to live your dreams by tapping into what Deepak Chopra calls “The field of infinite possibility” that surrounds us. #1: Are you tired of staring down on a pile of withering dreams, thinking “maybe one day” you’ll turn them into something…or not? Here’s an affirmation that you can use to lift up your chin and step into what’s possible. Sing this 7 times out loud or to yourself every time you find yourself saying “can’t be done” when a big idea crosses your awareness. Then choose and commit to the biggest one you’ve got. What’s the first step? The time has arrived to take it. And every step after that will reveal itself. #2: Keep the Manifest Vibrancy Essence on your shelf for those times when you are losing sight of your treasured visions. Take 14 drops under your tongue daily or whenever you need a hand in bringing them alive. and let the current of infinite possibility take you there. May you have all that you seek! Do you ever feel like you are a victim to the winds of fate, the economy, the political climate of the day, or even your kid’s schedules? Do you find yourself whining and complaining about your circumstances? Are you stuck in the same old routine and have no imaginative ideas for how to redesign your life? Is the part of you that could imagine how to do things differently checked out? If you said “yes” to any of those questions, then this is a perfect opportunity to balance and strengthen this Power, and start creating the life you really want. It’s your birthright! I tend to think of my Yellow Crystal Power of Imagination as a good friend. As soon as I notice that I am whining and complaining, I call this part of me to the surface for help. There’s a lot of my life that a Higher Being seems to be running, but I’m also aware of a lot of freedom I’ve been given. With this force on my side, much of what I moan and groan about I can actually change. This Power reminds me that I am the creative designer, the master architect, of my life. I’m not a two-year old who pitches a fit every time Mommy and Daddy won’t let me do what I want. re-create one that works for you. * Why create unnecessary conflict in your life by blaming others for what you don’t like? * Why push others away and drag them down with your whining and complaining? * Why live a boring life just because you’ve allowed your imagination to sleep on the job? Get back into the driver’s seat of your life! 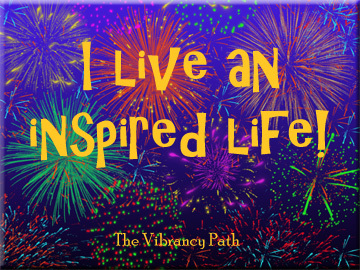 #2: Take 7 – 21 drops of the Imagine Vibrancy Essence daily. This remedy will align you with the energetic frequency of Imagination, and help you trade in your whining and complaining for refreshing ideas about how you can design or re-design your situations, your day, your life, and even your dreams. Live your life by choice, not by chance! 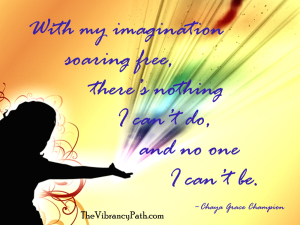 Here’s to your imagination soaring! Do you move through life with elegance and style? Or…..
Do you feel like screaming when there are too many things going on at once – the phone is ringing, your child needs your attention, dinner is burning, and your guests are going to arrive any minute? Does coordinating all the elements of a dinner party (the food, the invitations, the people, the timing, the decor) sound like a nightmare you’d rather not have? Do you feel overwhelmed just thinking about all the balls your friend has in the air, and long to be able to juggle your life as gracefully? Do you feel frazzled or scattered when you have to multi-task? And you may wonder how this is related, but…. Do you trip, stub your toe, bump into things, or otherwise wonder if you’re an accident walking around waiting to happen? Do you avoid activities like dancing, surfing, playing tennis, or ice skating because you’re afraid you’ll embarrass yourself with your two left feet? AND look graceful on the surf board or dance floor. Have you seen the TV show So You Think You Can Dance? We LOVE it. It’s just amazing to watch these dancers do their thing. No matter what style of dance they’re trained in, they have to do all styles in this competition: ballroom, hip hop, jazz, Broadway, contemporary, even crumping and Bollywood. Basically, the person with the biggest dose of Turquoise wins. One of the final competitions really sticks in our memory bank. The 4 finalists were all breathtaking, but our favorite was Tad…a guy with NO dance training at all. He was a street dancer – a “B-Boy”, who just would find a patch of sidewalk and spin on his head and do crazy tricks. But in this particular season Tad did a waltz that brought tears to our eyes, swinging from a chandelier a la Cirque du Soleil, and doing a Michael Jackson-esque number to “Another One Bites The Dust” that we replayed 3 times. He was a smooth and cool cat. Just watching this show felt like drinking in the Turquoise medicine. But these people don’t have a corner on the market! You have the Power of Coordination within you too, even if it’s hard to believe when you’re applying that ace bandage to your twisted ankle. End your need for band-aids and ice packs! Dance through life with grace and ease. Handle what’s calling for your attention – the phone, the kids, the dinner, and the guests – with elegance and flow. Make pulling off a dinner party look like a work of art, doing everything at just the right time, with just the right flair, creating a beautiful event to enjoy with your friends. Juggle all the balls in your own life like a pro ~ easily handling each thing as it passes in front of you, and at the same time, being ready to deal with next. Multi-task like the best of them, effortlessly flowing along with those moments when your brain, your hands, and your feet are all doing different things. 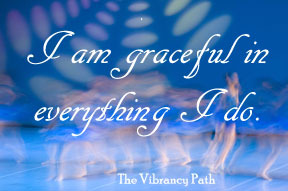 Have a good sense of where you are in space, moving in, around, and through things like a graceful dancer. Move in the groove, finding that magical place where all your body parts work together like a charm as you surf, dance, or skate your life away. Then do a little pirouette and move smoothly through the rest of your day. #2: Keep a bottle of Coordination Vibrancy Essence close by this week. Every time you feel like you just can’t keep all the balls in your life in the air, pick up that bottle and take 7 drops. Then begin to juggle everything a little more fluidly, coordinating what you do and when, so that you feel like you are flowing, rather than stumbling, through your life. you can dance on the outside! every single one of which is working in correlation with all the others? All you need is in you. You’re already dancing inside ~ now just let it show! Yes, we know you can dance! Inspired….juiced, ignited, filled to the brim with a sense of wonderment and magic. Is this you? Maybe not every day or all the time, but would you say you have a general feeling of being “lit up” by life? Kinda like that childlike spark just never left you? If you do, consider yourself among the fortunate. Life events often take a toll on many people’s ability to feel inspired. Bored with the same old routine you follow every day…but lacking any ideas or energy to change it. Burned out, or low on the mojo to turn your ideas into a reality. Like your food is bland, conversations are dull, and the sky is always grey. Like you’ve settled for a mediocre relationship or go-nowhere job. The urge to roll your eyes at the next person who tells you to stop being so busy and take time to “smell the roses”. Not too long ago, I discovered www.stumbleupon.com. First, you choose the categories that inspire you. I chose gardening, self-improvement, quotes, animals, vegetarian, fitness, and humor to get started. Then ask yourself, “What would juice me right now?” Zero in on that one thing and dive in! #2: Take Inspiration Vibrancy Essence every time you notice yourself settling for “just okay” or “mediocre.” Take 7 drops, then tap into your creative side and come up with a new way to spice things up ~ re-engage your childlike fascination with life. Think like Peter Pan! fills your senses and enlivens your cells! Claim Your Inner Artist with the Power of Creativity! A while back we were in Michigan at hospice with Jamie’s 95 year-old Mom, and as a family we were all reviewing this amazing woman’s creative life. regardless of age, gender, background, or childhood! Open the gates and let those juices flow, knowing that there’s no one “right” way to express the creativity that lies deep inside. Then grab your medium of choice (paints, camera, computer, microphone, pen…whatever) and just watch what pours out of you! 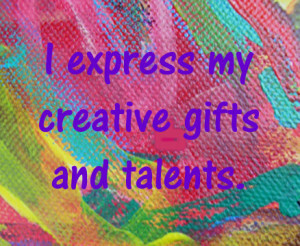 #2: Keep a bottle of Creativity Vibrancy Essence close by this week. Every time you feel like the door to your creative self is locked tight in some kind of vault, pick up that bottle and take 21 drops. Then watch an invisible key gently unlock the door, and let out what is inside for all the world to see. To the eternal artist in you! Soothe Your Soul with the Power of Sensuality! Do you think of yourself as a sensual person? Here’s one definition of sensual: arousing or exciting the senses. If you thought this was going to be about sexuality, I’m sorry to disappoint you. Although sensuality is a component of sexuality, sensuality is much more foundational than that. It’s about surrounding yourself with beauty that fills up your senses, AND being open to the wonderful experience of drinking it in! Have lost the romantic spark with your honey and settled into a hum-drum relationship. Accidentally hurt the ones you love with your words and feedback that comes out more critically than you expect. Slog around your house in over-sized sweats feeling frumpy and dumpy and frowning at yourself in the mirror. Spend your day being pragmatic, practical, scheduled, and busy, but deep in your gut you feel empty inside. Live or work in a room that’s “functional” but lacks beauty and leaves you feeling flat. Scarf up your microwave dinner while standing at your sink, and wonder why you don’t feel nourished and satisfied with the meal. Think things like buying flowers, meandering through art galleries, or going out for a leisurely candlelit dinner are just a waste time and money. Beauty, experienced through your senses, is a vital ingredient in the banquet of your life. Without it, something is always missing. These kinds of challenges can easily stem from not having enough beauty in your life. Or, they could be from not being open to receiving all the beauty that IS there. Let’s have a Sensuality reality-check. Take a few minutes to consider all the beauty that you recognize in your current everyday life. Do you get to enjoy an awesome view on your way to work? Or do you just drive your way through power lines and car lots…or a mix of the two? Do you keep fresh flowers on your dining table every day, just on special occasions, or not at all? Do you fill your ears with music that uplifts you, or just listen to whatever happens to be on the radio at the moment? Scan your life and, on a scale of 1 – 10, how would you rate your Sensuality Quotient based on the degree of loveliness you have around you on a regular basis? This is your starting point for strengthening your Power of Sensuality. Now, having just tuned into where beauty is spilling into your world, are your senses awake enough to process the nurturing that beauty is offering you? 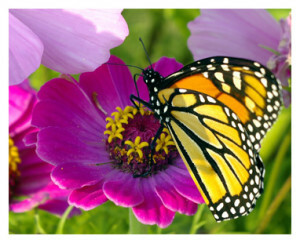 When you see a beautiful butterfly, do you feel yourself take a breath as you absorb it’s colors? When you eat delicious food, are you savoring the flavoring? Are you soaking in the smells? Close your eyes and gently rub your hand over your chair or a piece of clothing you are wearing. Take an easeful minute to feel its texture…it’s softness, it’s roughness…how bumpy or smooth it is. Let that subtle information seep into your cells. How does that make you feel? Is it comforting, pleasurable? Does it leave you feeling neutral? Or does it make you want to pull your hand away? Imagine surrounding yourself with fabrics you can just relax into in the normal course of your day, and how that would affect your overall quality of life. Just like with your sense of touch just now, ALL your senses will let you know what nourishes you and what doesn’t when you connect with them. The more you strengthen the Power of Sensuality, the more you will allow the beauty that’s everywhere to nurture your spirit. You will find yourself creating experiences for yourself and others that feed your senses and soothe your soul. Read on to find out what’s in store! Throw open your doors to the finer things in life. Feed your senses every day and stay satisfied. Find romance oozing back into your relationships….picnics in the park, reading poetry together, offering little gifts, candlelight dinners…just like when your love was new! Choose kind and uplifting words when you speak to your loved ones, and watch how they blossom with your nourishing feedback. Smile at yourself whenever you pass by a mirror, because you have taken the time to make yourself feel beautiful. Find it easy to take breaks from “being responsible,” to discover the deep, soul-fulfilling pleasure of feeding your senses with beauty – food, words, art, flowers, music. Find easy ways to add a touch of beauty to every room in your house and office….little things that warm your heart, boost your spirit, and feed your soul. Take the time to sit down to a lovely and leisurely meal even when you are alone. Ahh…nourishment for your body AND soul. And open yourself up to a life filled with beautiful words, beautiful thoughts, and beautiful ways of relating with others. take 7 drops and stop for a minute. Then see if you can find one thing right away that will add a touch of beauty to your day. Nourish your soul with more beauty.